山下正通、小沢昭弥. 現代の電気化学 . 丸善, 2012. p.41. ©Copyright 2019 Kazuhiro Tachibana all rights reserved. (1) 立花和宏、仁科辰夫. エネルギー化学：電池の起電力 . /amenity/Syllabus/@Lecture.asp?nLectureID=4897. (参照2019-02-21). (2) 立花和宏. 電気化学特論：電池式の書き方とその意味 . /amenity/Syllabus/@Lecture.asp?nLectureID=3865. (参照2011-12-19). (3) 伊藤 智博、立花 和宏、仁科 辰夫. 卒業研究（Ｃ１-電気化学２００４～）：電池 . /amenity/Syllabus/@Lecture.asp?nLectureID=309. (参照2005-07-11). (4) 伊藤 智博、立花 和宏、仁科 辰夫. 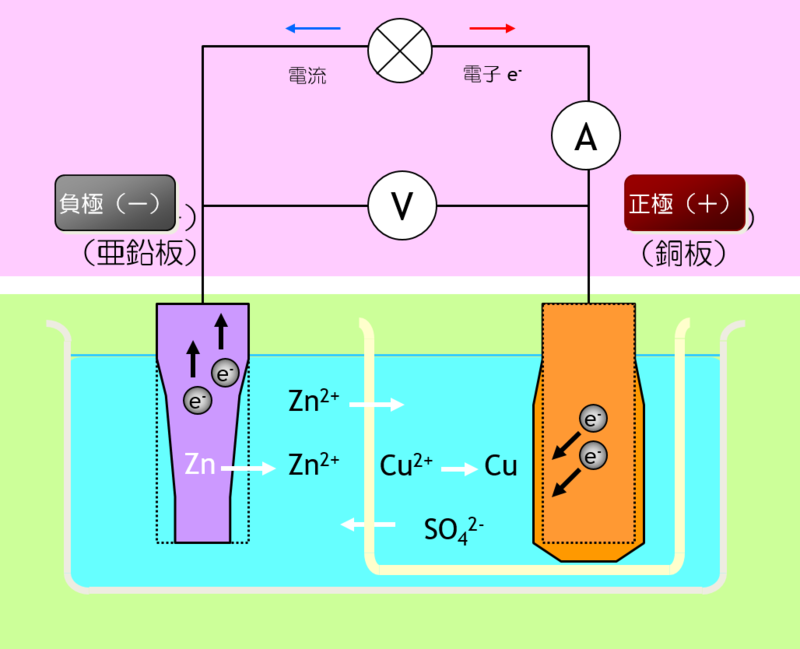 卒業研究（Ｃ１-電気化学２００４～）：ダニエル電池 . /amenity/Syllabus/@Lecture.asp?nLectureID=2687. (参照1836-01-01).